The idea that future generations, 500,000 years or more from now, can "consent" to having nuclear waste placed in their midst is ludicrous. And at the rate we are generating nuclear waste (about 10 tons per day in the U.S.A.; 50 tons per day globally) there isn't enough space on this planet to store all the waste that already exists, let alone what will be produced over the next few decades, centuries, and millennia. Transporting all that waste represents yet another hazard that the public should have a right to consent -- or not -- to, but who in their right mind will want hundreds or even thousands of shipments of nuclear waste going through their community -- especially since there is zero likelihood that those communities will be reimbursed for the risk they take of having their neighborhoods permanently contaminated if there is an accident along the way? And speaking of reimbursement, how far into the future does the DOE expect to compensate a community for taking the waste for "interim" storage? America has tried for more than 50 years to find a permanent repository, and Yucca Mountain was a scientific failure, not just a political one. There were groundwater seepage issues, rainwater leakage issues, volcanic activity nearby, earthquakes, and metallurgical issues that could not be dealt with for the time frames necessary to store the waste. The Yucca Mountain project was strongly opposed in Nevada, and no other community in the country has ever stepped up to willingly become a permanent nuclear waste repository -- and only a few locations could even be considered because of the incredible difficulty -- no, impossibility -- in predicting how the earth will behave for the many millennia the waste will remain toxic. And all locations are susceptible to asteroid impacts and earthquakes, so really there is no safe place for nuclear waste. There are two broad categories of radioactive hazards in spent nuclear fuel. One is the fissionable isotopes, and the other is the fission products themselves. Regarding the fissionable isotopes, there are two main concerns. 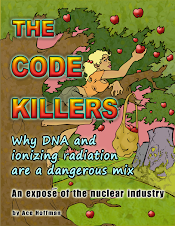 One is the proliferation risk that the waste will be stolen, the fissionable isotopes isolated (possibly by a newly-developed laser separation process, which does not require hundreds of centrifuges and massive industrial installations to accomplish). A nuclear bomb can then be made from the enriched product of the separation process. The other problem with the fissionable isotopes is that if nothing is done about the Uranium-235 and Plutonium-239 in the spent fuel, the proliferation risk will continue for thousands of years, since the half-life of U-235 is about 700 million years, and the half life of Pu-239 is about 24,100 years. But something CAN be done: Using a laser which is emitting photons in the 10 to 15 MeV range, these two isotopes can be safely fissioned in a controlled manner, while the spent fuel is still in the fuel rods. Although such lasers do not currently exist, there is little doubt they could be developed, and there is no doubt the process would work because the breakdown of these isotopes has been proven with other methods such as with a linear accelerator. The process does not even take very long and can produce waste energy which can be harnessed to mitigate some or all of the cost. By eliminating these two isotopes using the method described above, which has a patent pending filed by Peter M. Livingston, a scientist who witnessed a number of bomb tests at the Nevada Test Site and has studied the problem for many years, the two greatest difficulties with spent fuel are almost completely eliminated: The long term storage problem, and the proliferation risk. What is left are the fission products. Most of these have half-lives of three decades or less (there are a few, which I call the ignoble seven, with half-lives of many millennia or even a million years or more, but these are present in only trace amounts). Within about six centuries, almost all of the fission products will have decayed to stable elements. Thus, the longest that an interim OR permanent waste repository would need to be carefully monitored would be about 600 years. Granted, that's no piece of cake, considering our nation is only about 240 years old and most of our buildings, roads, dams, bridges and other infrastructure, much of which is well under 50 years old, is already crumbling -- but it's much more manageable than 500,000 years, a length of time so enormous that nobody can predict the consequences of trying to store hazardous waste that long. Below is a link to Peter Livingston's patent for a process to neutralize the fissionable isotopes in spent fuel. Under no circumstances should this suggestion encourage the production of more nuclear waste. During reactor operation, nothing is more dangerous than a superheated 150-ton pile of super-critical nuclear fuel, and when the fuel is first removed from the reactor, the remaining short-lived fission products keep the fuel assemblies so thermally hot that a spent fuel fire could occur at any time unless the fuel is safely stored deep under water. Such an event would be catastrophic, as we have seen in Chernobyl, Fukushima, Three Mile Island and elsewhere. A spent fuel pool or dry cask storage facility fire could be worse than all of those events combined. Dry casks and spent fuel pools are subject to risks from airplane strikes, earthquakes, tsunamis, terrorism, and even just manufacturing errors. There are numerous cleaner, cheaper, more manageable methods for generating electricity -- even for propulsion on aircraft carriers and submarines. With some 600 military bases around the globe, our aircraft can already quickly reach any point on the planet without the need of aircraft carriers at all, and for stealth operation, a nuclear submarine has to shut off its nuclear reactor anyway, and operate on batteries. Both ships and subs normally have to stay with a large fleet of non-nuclear ships such as landing craft transporters, oilers, mine sweepers, frigates, destroyers, etc.. And even though they are considered "robust," a nuclear reactor on board a ship or sub can melt down, causing a catastrophic release of radiation which will spread throughout the oceans. This has probably already happened, although the evidence is impossible to accurately obtain, but more than half a dozen nuclear subs have been lost at sea, including two U.S. submarines, and in all cases, the exact cause of the catastrophe has not been positively ascertained. Iran doesn't need nuclear power, China doesn't need nuclear power, Russia doesn't need nuclear power. Most people in Japan probably wish they never had nuclear power. Nobody else needs it, and we certainly don't need it. The Department of Energy has been unable to solve the problem of nuclear waste, despite more than half a century and tens of billions of dollars of prior effort. This is because nuclear radiation destroys any molecular or chemical bond in the universe. DoE made a hollow promise to take back the nuclear waste from commercial reactors, a promise they have never kept and are now paying hundreds of millions of dollars per reactor for. It is time to eliminate that promise because nuclear waste cannot be safely kept -- and eliminating that promise would IMMEDIATELY cause the shut down all remaining commercial reactors. That would be a good thing. No community will ever want nuclear waste. No consent can ever be given by people as yet unborn. No one can predict the consequences of storing anything anywhere for 500,000 years.